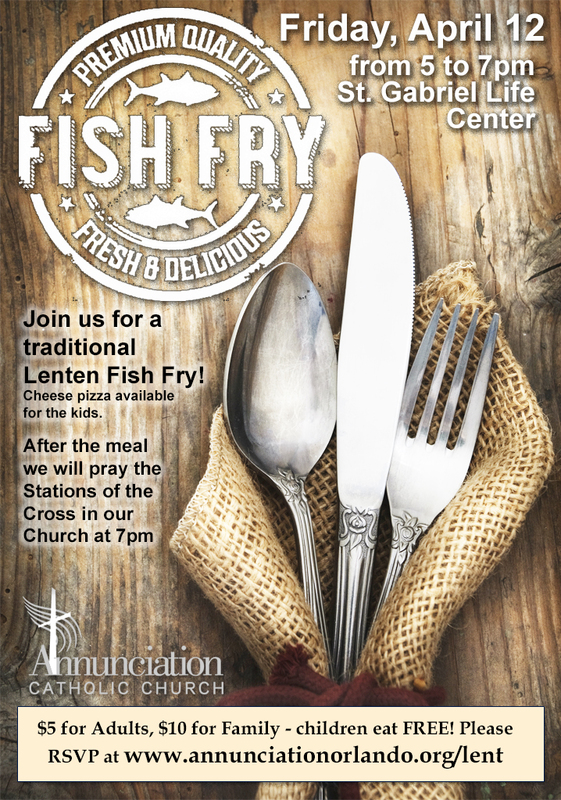 Thank you for your interest in our Parish Fish Fry. We are at capacity for this event. Please join us for Stations of the Cross at 7pm in the Church. Thank you!